The Tywi Dental Practice is a team of dedicated, caring professionals who aim to help you attain the very best dental health. Here we give you an opportunity to meet our friendly team. 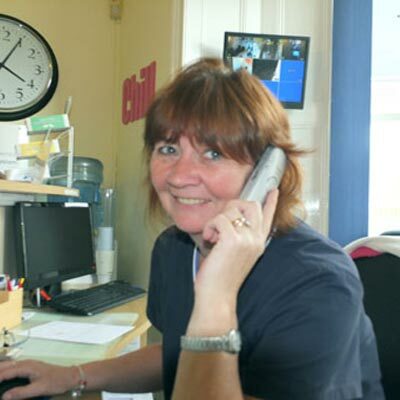 Emyr has worked to deliver preventative dental health care in Llandeilo since 2006. He is a highly experienced clinician with a special interest in the prevention of dental disease and improving the oral health of his patients. He practices minimally invasive cosmetic dentistry and aims to create beautiful smiles whilst maintaining the long term health of the teeth. To achieve this, Emyr can provide short term/cosmetic orthodontics and re-models the teeth using adhesive techniques to improve the appearance of teeth without damaging them. He qualified from Cardiff in 1985 and spent several years in general practice in Wiltshire before working in several locations in Australia. Following his return he worked as a Senior Dental Officer for the community dental service before opening his own practice. 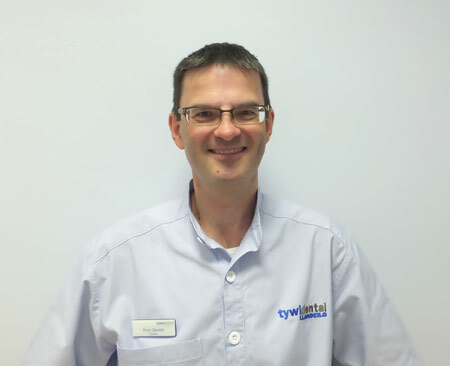 Emyr realised his dream by establishing the Tywi Dental Practice in 2007. Emyr leads the team and aims to provide a high standard of dental care in a relaxed and friendly environment and he plans to continue to develop the practice to achieve this. In his spare time, he enjoys most outdoor pursuits with his family, plays tennis and goes sailing. 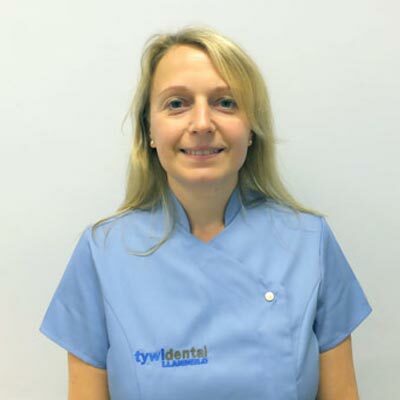 Angela has been an associate at Tywi Dental Practice since 2010. 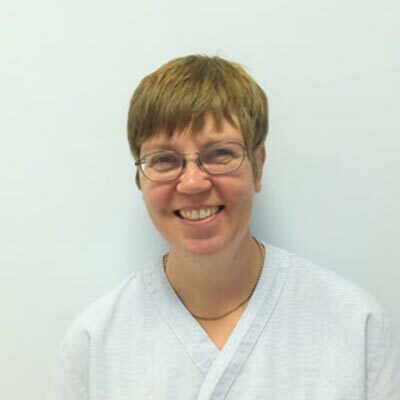 Angela was born and raised in South Wales and qualified from the Cardiff Dental School in 1995. She has almost 20 years of clinical experience, at multiple practices across the country, both NHS and in the private sector. This has helped her gain valuable knowledge, experience and clinical skills along the way. Angela makes a thoughtful contribution to the practice and helps the team deliver dental health care in tune with our preventative philosophy. 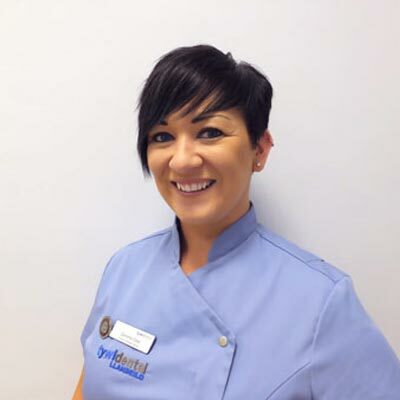 Angela enjoys all aspects of dentistry and is keen on attending courses and conferences to further her knowledge in order to help provide the best possible care to her patients. Angela enjoys cooking and looks after some sheep, chickens and assorted animals. She also attempts to grow vegetables in her spare time and takes long walks with her three springer spaniels. Beth joined us in 2012. She is an experienced dental therapist / hygienist who gains great satisfaction in improving and maintaining her patients’ dental health. Working to detailed instructions from Emyr and Angela, Beth is fully qualified to undertake scaling and polishing of the teeth, applying materials to teeth such as fluoride and fissure sealants, take dental radiographs, provide dental health education and undertake routine restorations (fillings) in both baby and permanent teeth. To her credit, Beth has been described as having ‘the hands of an angel’ when providing care for her patients. In her spare time Beth walks her dog, goes horse riding and enjoys dining at her favourite restaurants. Gemma joined us in 2010. During this time, she successfully undertook her dental nurse training and was successful in her dental nursing examination. 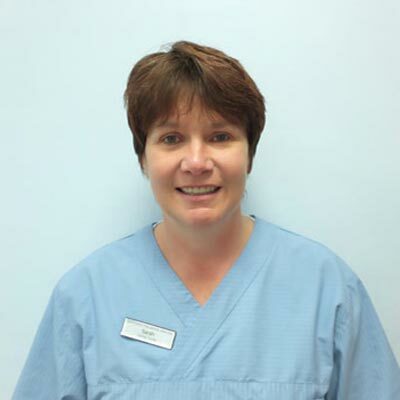 Her dedication and caring manner has been rewarded as she is now our Senior Dental Nurse. Gemma has the overall responsibility for the clinical role of the dental nurses within the practice and ensures that we never run out of anything – especially tea and coffee! Gemma enjoys spending time with friends and family. Going on luxury holidays with her husband is also a must. She would list shopping and fine dining as an important part of her life! Wendy is the newest member of the team. She is our fitness guru and is a keen participant in sport – she enjoys keeping fit by playing squash, cycling and walking. At the weekends she attends a local boot-camp and has a passion for animals. In the little time left over, she enjoys socialising. Sarah has been an enthusiastic member of our staff since 2012. She enjoys spending time with her family and going on camping holidays. She also loves caring for her assortment of pets. Most of her weekends are spent looking for bargains in local supermarkets! As the practice manager, Wendy has a fanatical eye for detail. She has the overall responsibility for the day to day administration of the practice. She has the responsibility to ensure that the practice complies with the latest regulations and guidance. She provides all the necessary training for the staff to ensure that our patients’ needs and requirements are met as efficiently as possible. Wendy is also a registered dental nurse. Wendy has been a faithful member of our team since 2008. 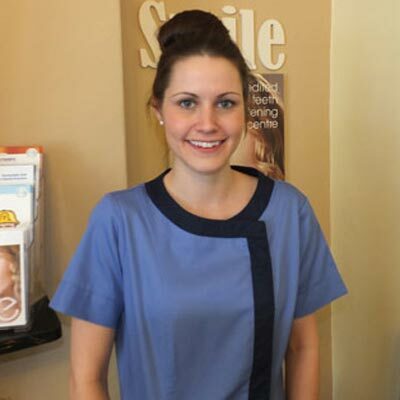 As receptionist, Wendy will usually be your first point of contact with our practice. She is also a registered dental nurse so understands the needs of our patients very well and as such, plays a key role within the practice. Wendy enjoys meeting and greeting our patients and has been invaluable during our conversion to a fully computerised practice. She also ensures that all of our patients are aware of our online booking facility and that they receive text or email reminders of their appointments. 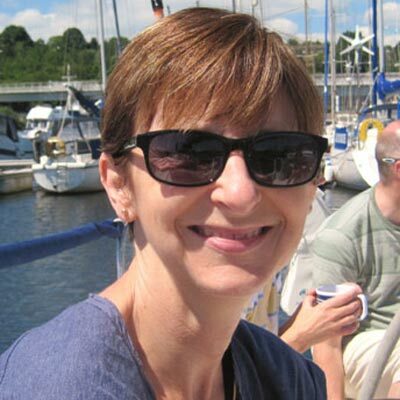 In her spare time, Wendy enjoys walking her rather lively dog, reading and supporting her local rugby team. Tywi Dental Practice has an ongoing programme of staff training and development to improve the patient experience within the Practice. For your peace of mind, we conform to the highest standards of cross-infection control. We closely follow the latest developments within the dental world and we have invested in the latest equipment and up-to-date technology to provide high quality dental care to meet the varied needs of our patients.